America’s most popular app for truckers. 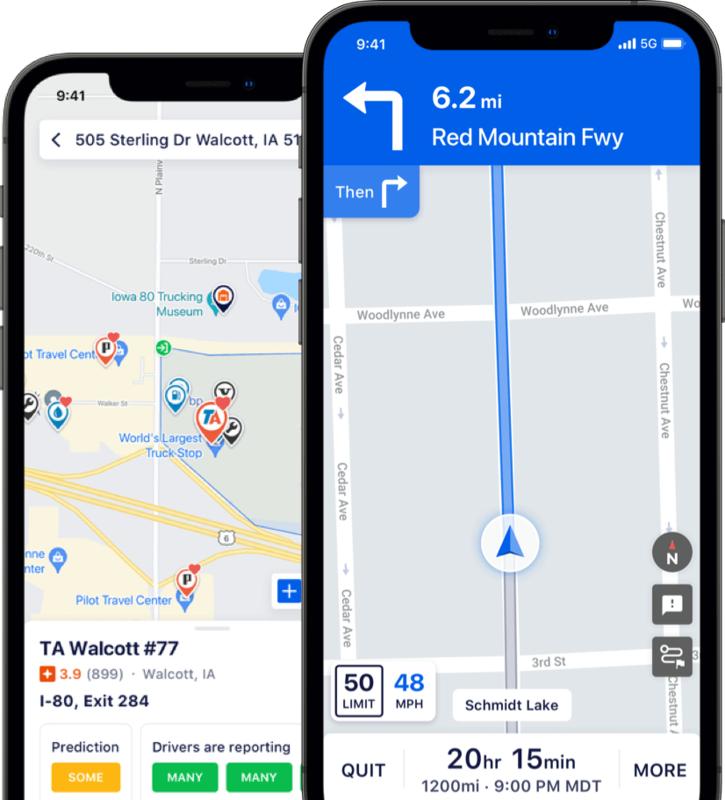 Thousands of truckers all over the country use the app to find the closest truck stop, available parking, weigh station information, fuel pricing and truck optimized routing. 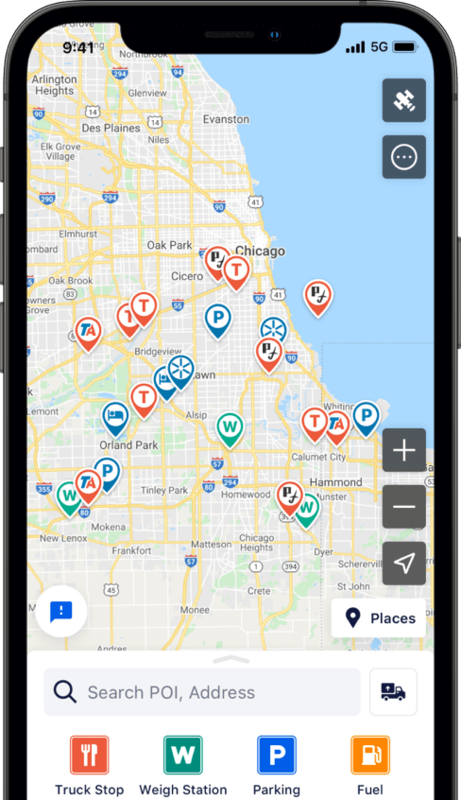 Join the community of nearly 1 million active drivers today! 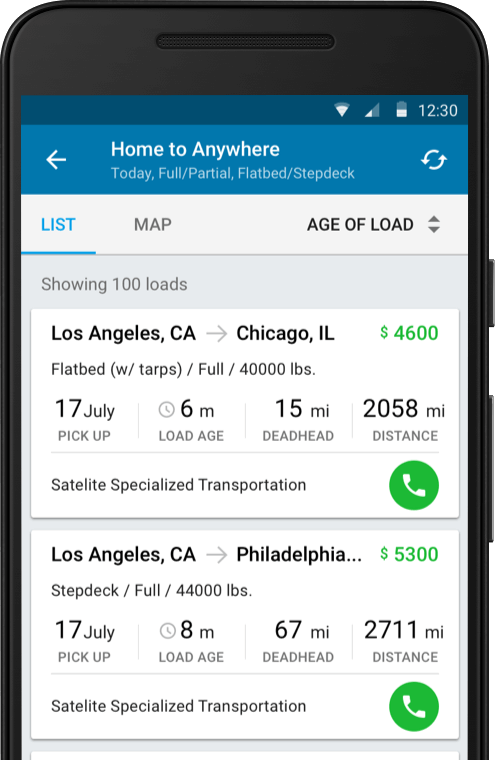 Trucker Path helps America move its freight via our mobile application and your computer. Thousands of carriers look for loads daily via our site, while hundreds of freight companies post their loads. We are here to connect the two. Best app, recommend. Every driver gets it at orientation. 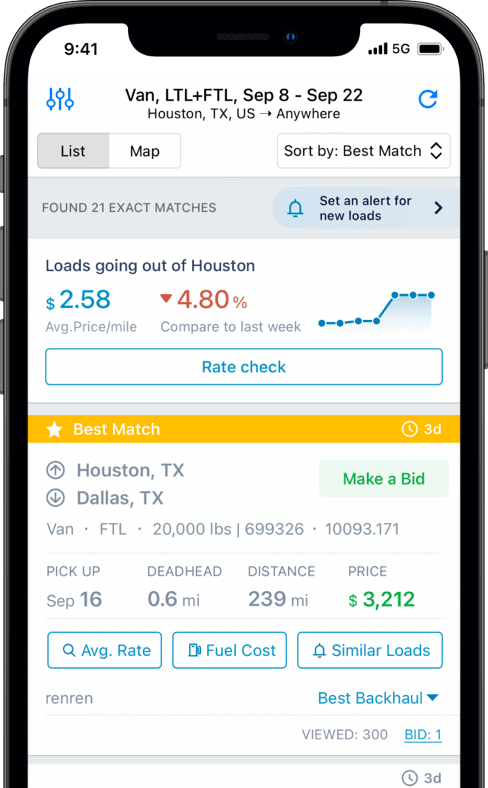 ...this app has many different features that DAT Trucker doesn't offer. Keep up the great work!! Don't often take time to write reviews of apps, but this one is so deserving in my line of work as a "trucker". Some things are just plain good and exceed expectations and this is one of those things. It gives me everything I need to know about a load. I look at it every day – one of the best load boards I’ve seen in a while. Got questions? Let’s get you moving.